I wish MY year looked like YOURS!! Lucky!! Happy New Year!! Have a great weekend!! its been quite the productive year!! here's to 2010 being even sweeter! Thank you for your great blog and all the projects. You've inspired me to try a few things... and I'm hoping to take some sewing lessons this year! You amazing mother of four and crafty creative woman you! Truely an inspiration! All the best in 2010! Thank you Dear Vanessa! You have inspired me to do more! Happy New Year~! I didn't even MAKE that many things, let alone be able to choose that many as my favorites! You are an inspiration, V. Love you! You have had an AWESOME year and so have we because you have shared so many projects with us!!! Can't wait to see what you have in store for 2010! What a creative and beautiful year you've had! Love your projects...you are such an inspiration! Wow, I love you collage of things you made! Great and so colorful and creative! Looking forward to more fun from your blog. Have a happy new year. 2010 is going to be wonderful. my favorite was the easter basket. that is when we started being best friends. did you know that?? lol. love your blog. you have been very productive and EVERYTHING you do is adorable. cheers to you in the new year v. thanks for the continued inspiration. loves! I love your creations and your blog. I cannot wait to try to make the snow ruffle pillow this year. Happy New Year!!! Whauw, so pretty! Happy new year! I was just enjoying looking over your year and poking around the blog. How have things turned out with your bedroom? Did you find/make some pillows that you didn't hate? :) Has it all come together nicely? I love the "light" you've brought into your home. Ok... I looked over all your cute pictures and the caption: It's been a good year, and outta my mouth was this: ohhhhhhhh (said like: ahhhhh). Happy next year to you! Your pics are so beautiful, your ideas so inspiring, I hope to be able to channel some of your crafting enthusiasm for a more creative 2010. Happy New Year! It's been fun getting to know you and your family through your blog. I was glad to finally meet you at church last week...wish we could have connected and chatted longer before we had to leave. Hope you have a happy 2010! Beautiful collection!! Happy New Year, Vanessa! You were a busy woman! Thanks for the inspiration! My gosh it's been a busy year for you, you crafty little devil. Gorgeous photos, as always! Happy New Year!! You are very talented! Love it all: 2009 was good to you! Happy New Year...looking forward to what you'll do in 2010! Well you've put me to shame ... Happy New Year ! Thanks for all the great ideas you gave us last year. Looking forward to 2010. Have a blessed day! 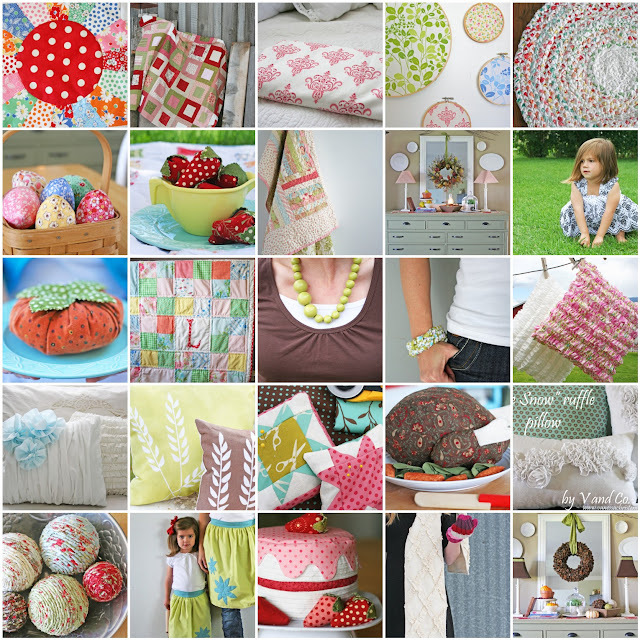 I love your photo collage--you can really see what you have accomplished and everything is so pretty. Very inspiring! I love your work! You are so creative : ) can't wait to see what you'll have for the next year! I agree. A very productive one.